A Cacao crumble is nested inside a dark chocolate cremeux. 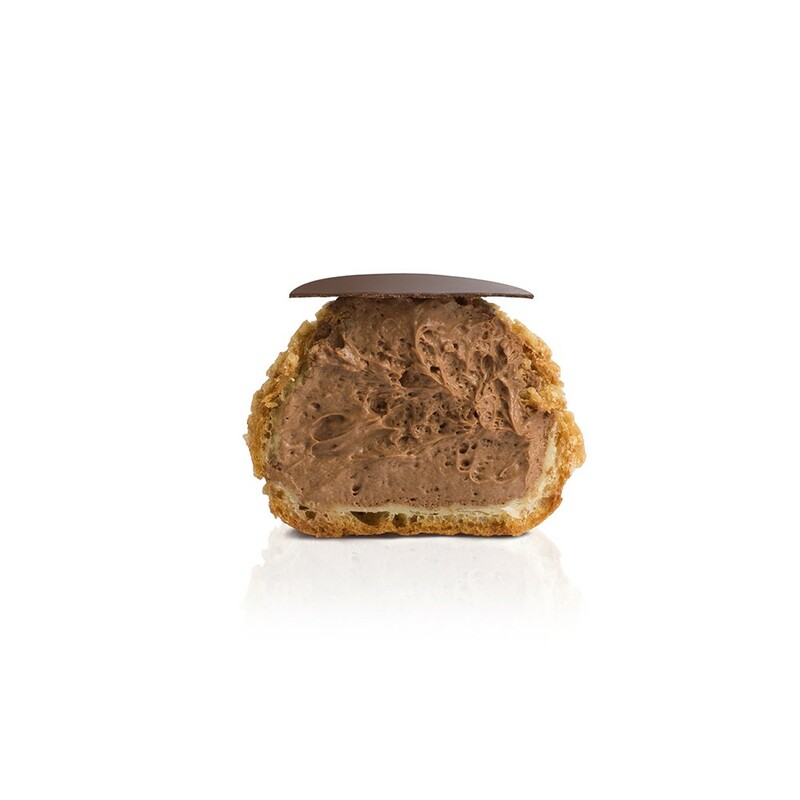 This is then topped with a light yet dark chocolate mousse infused with a fine Earl Grey. 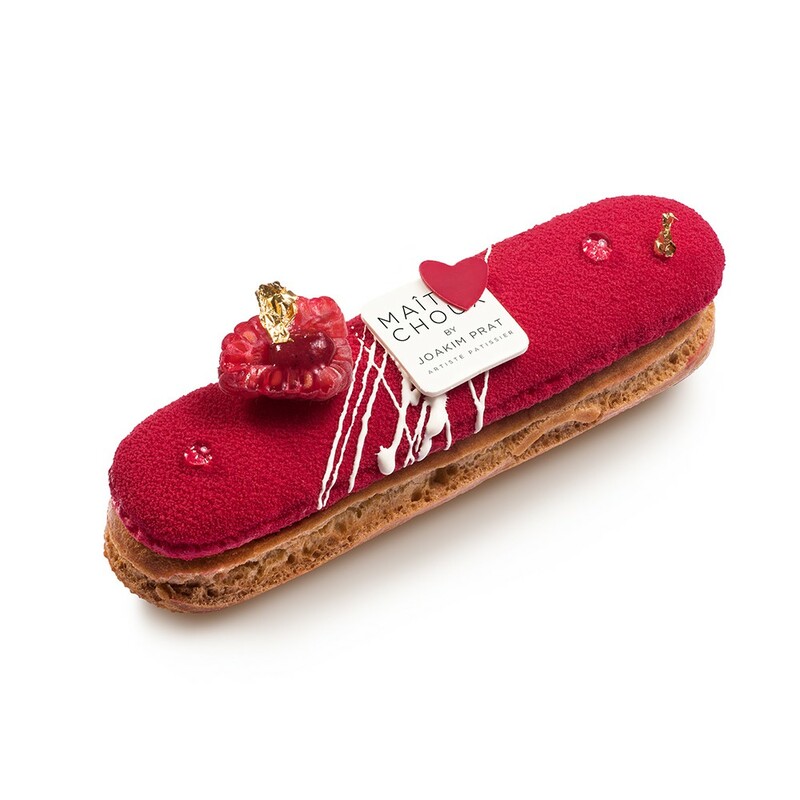 Inspired by Love and Eclairs, two things that no one should live without, our Red Love signature éclair is a layered masterpiece. 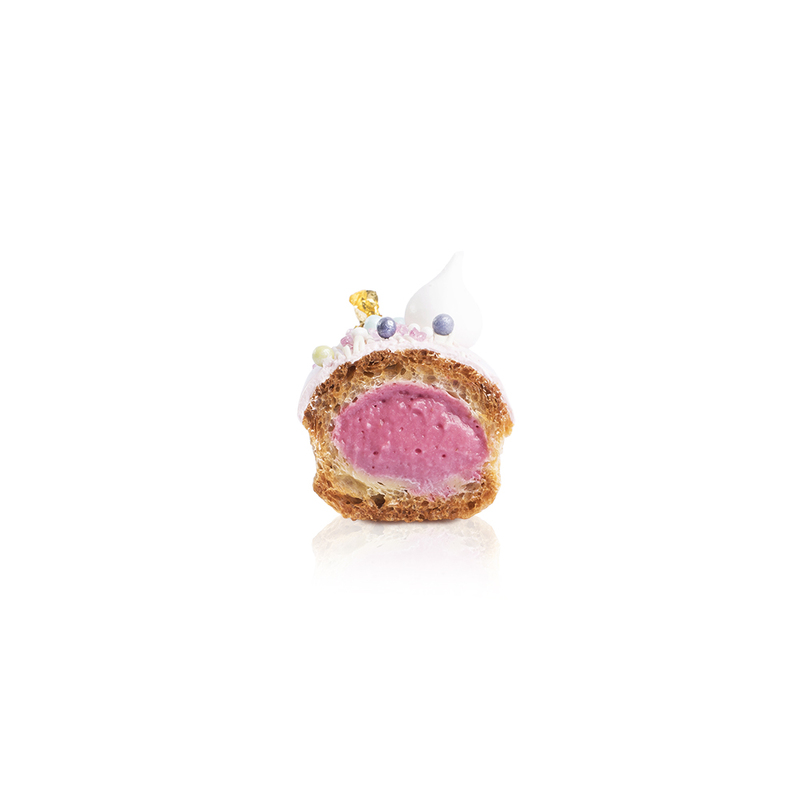 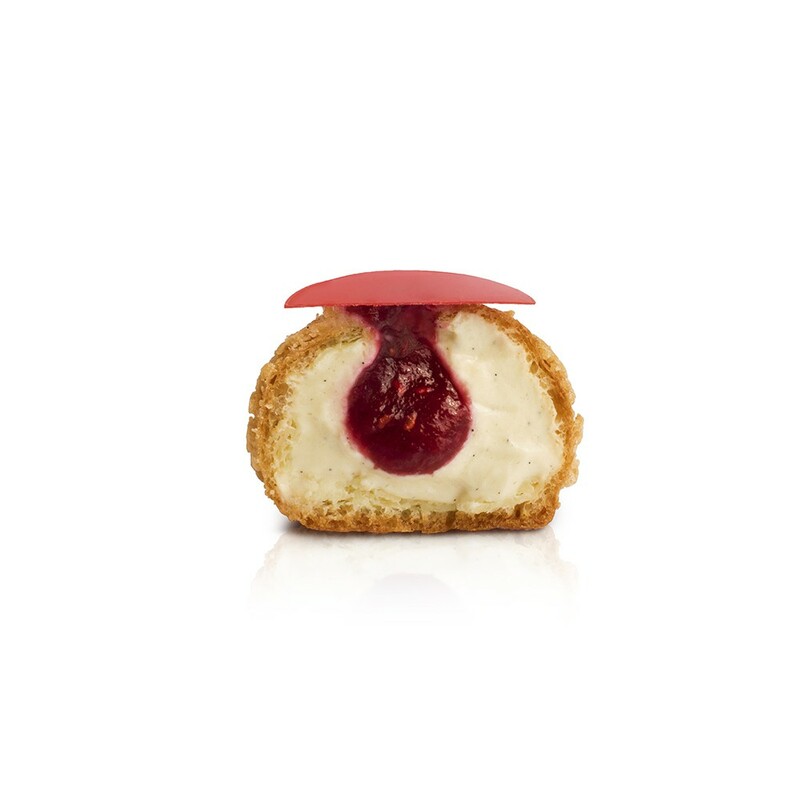 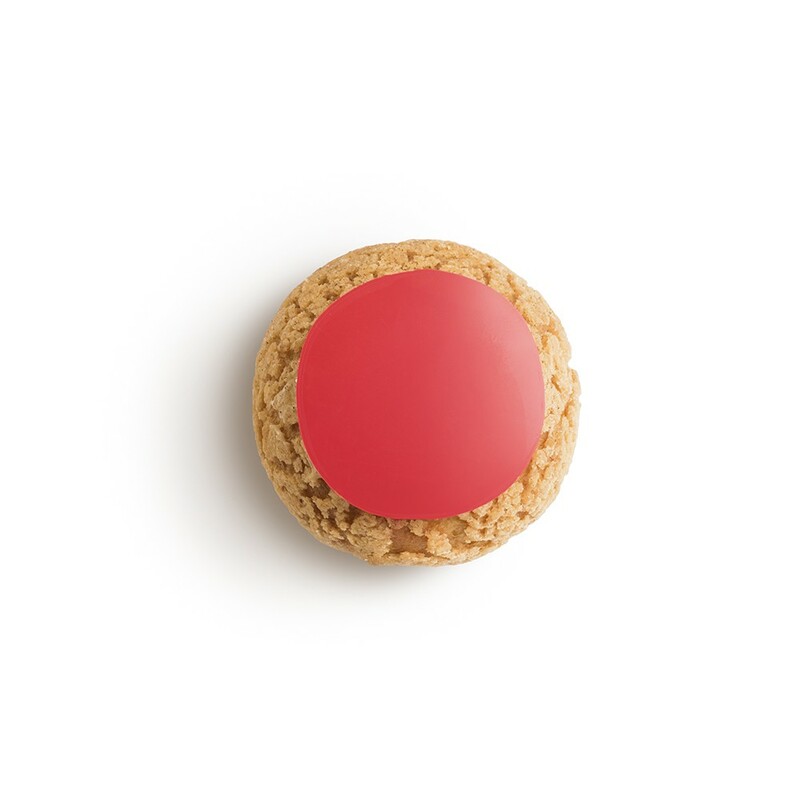 It is filled with a combination of a light yet intense Tahitian vanilla cream and a refreshing raspberry purée beautifully textured with raspberry seeds. 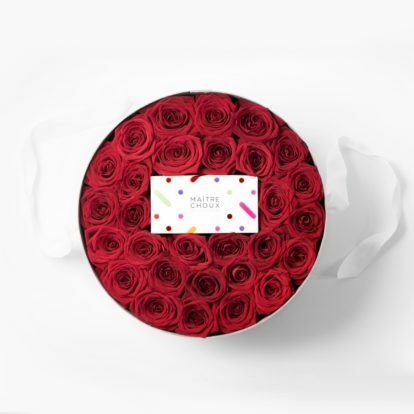 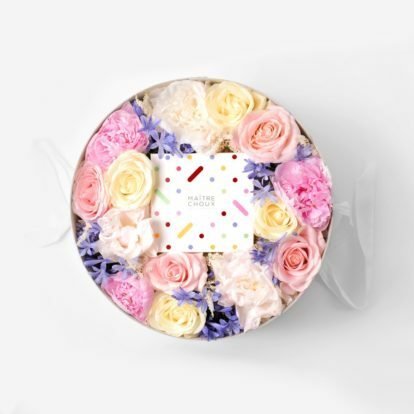 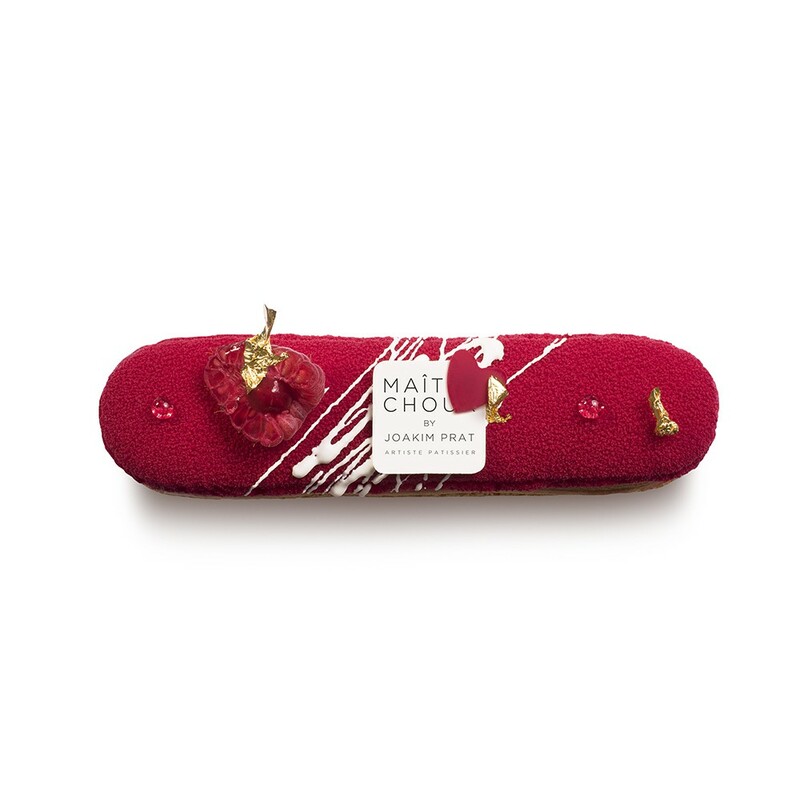 It is then delicately covered with a raspberry-flavoured éclair-shaped macaron. 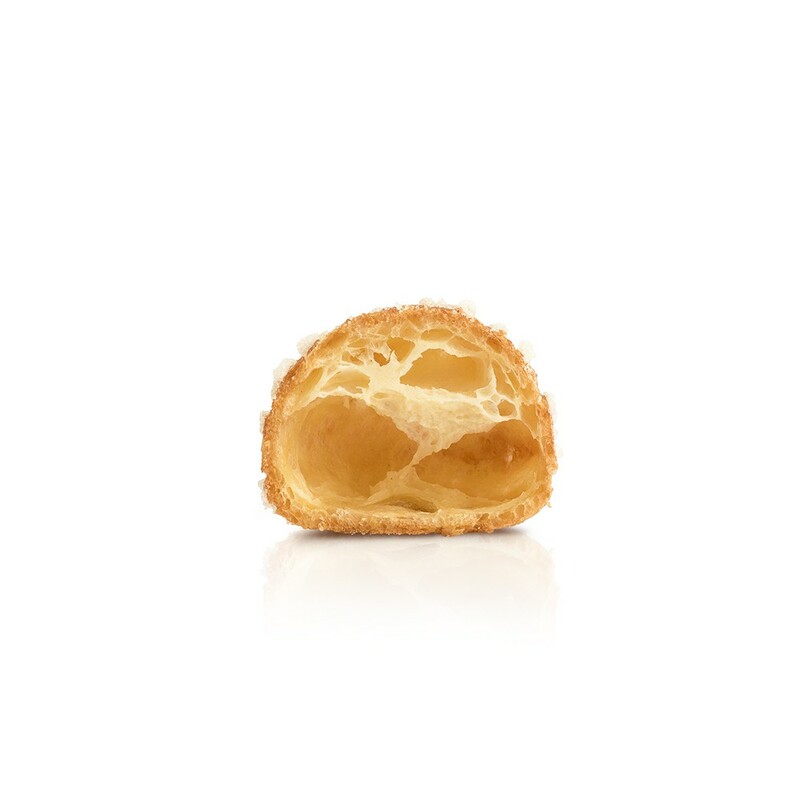 A feast for both the eyes and the palate. 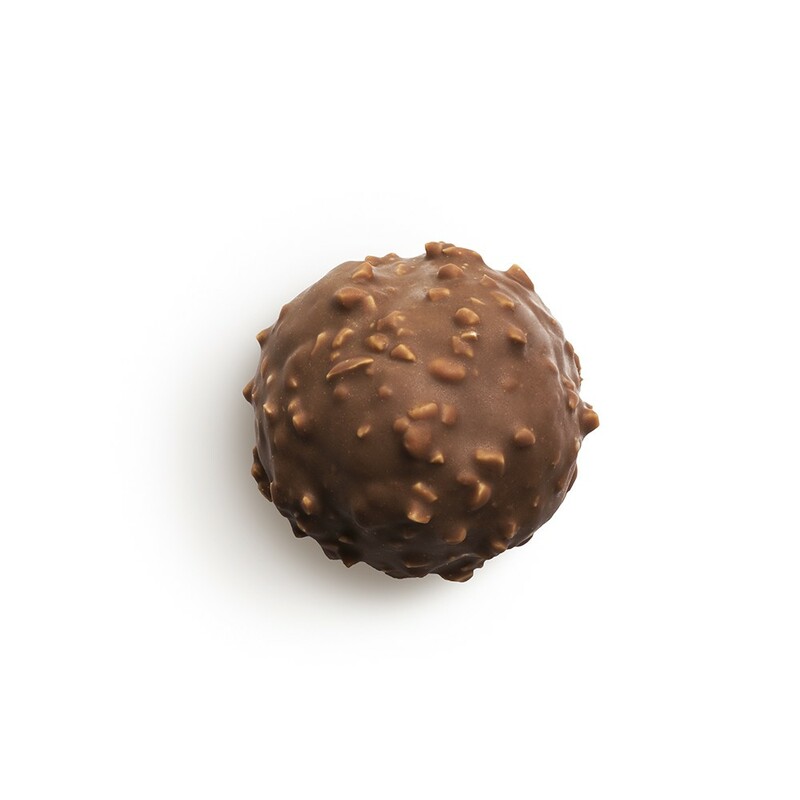 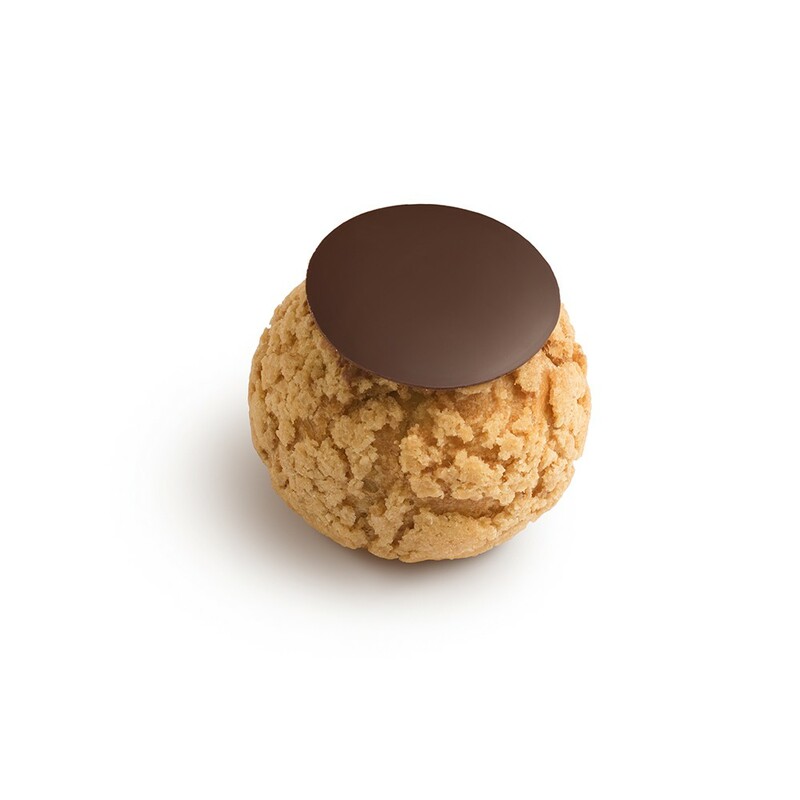 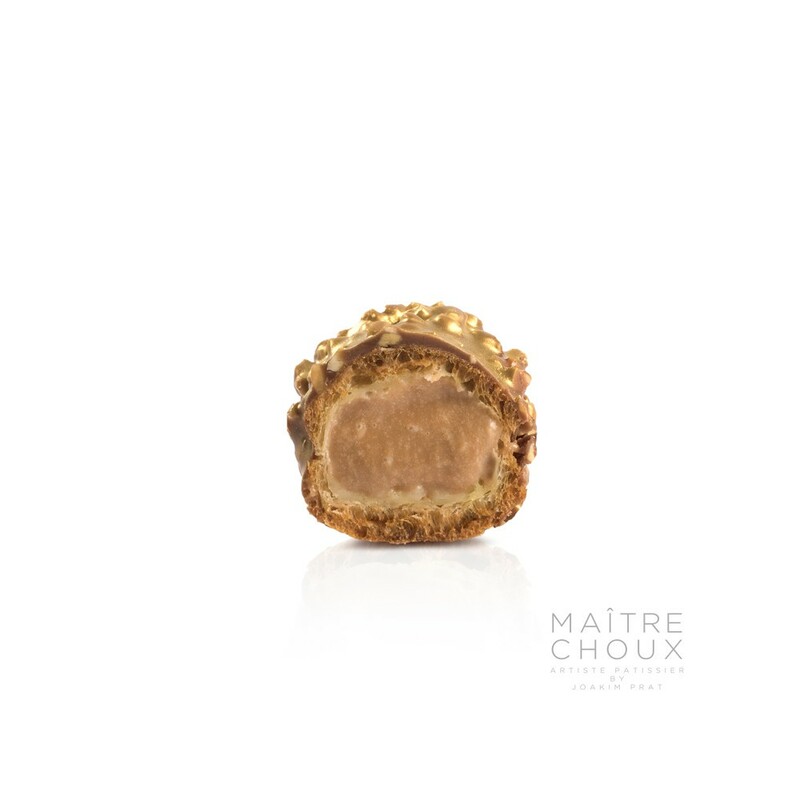 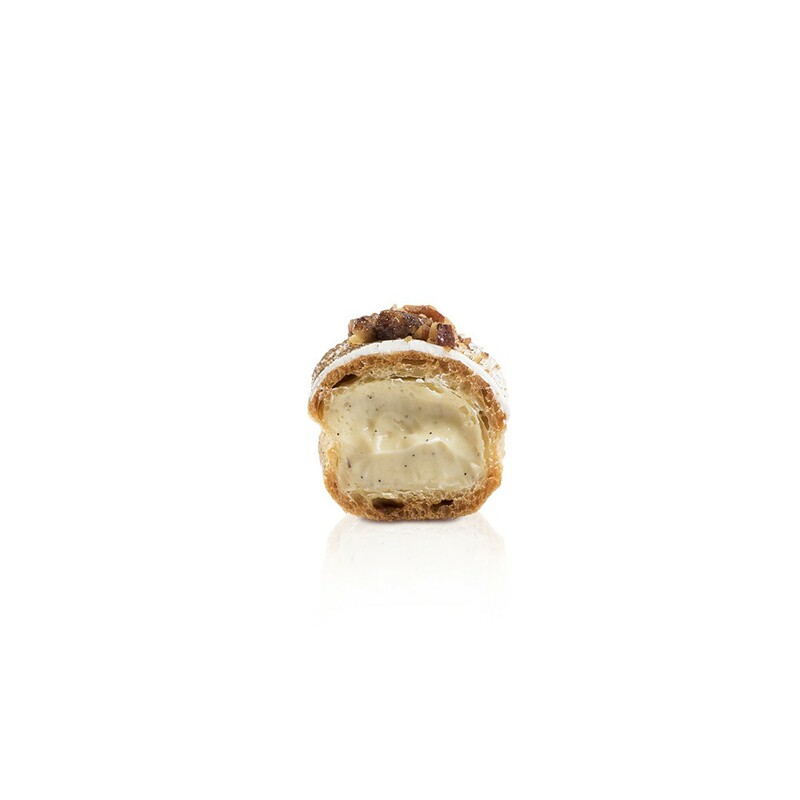 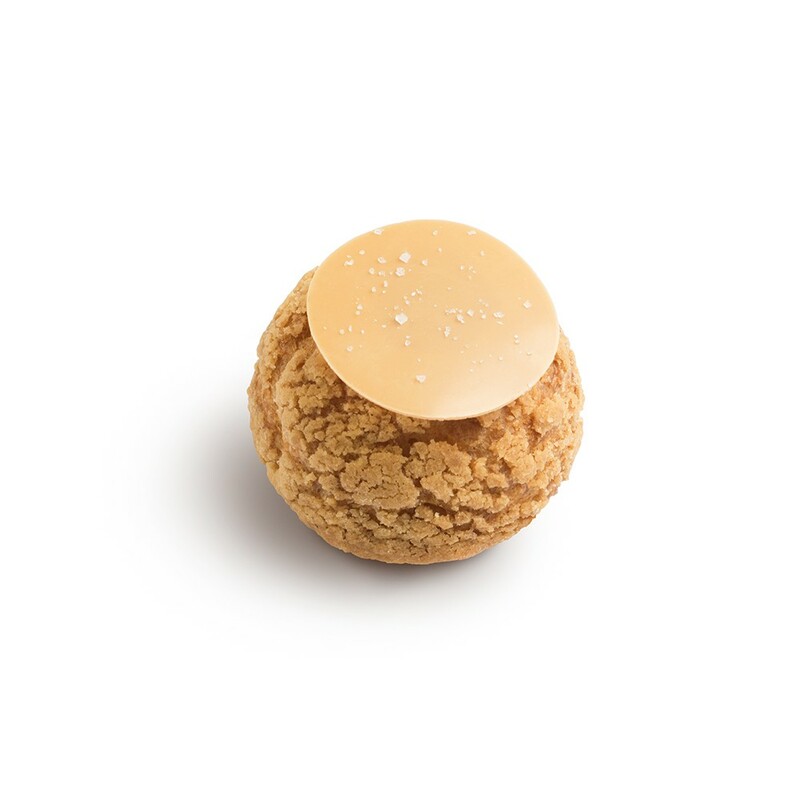 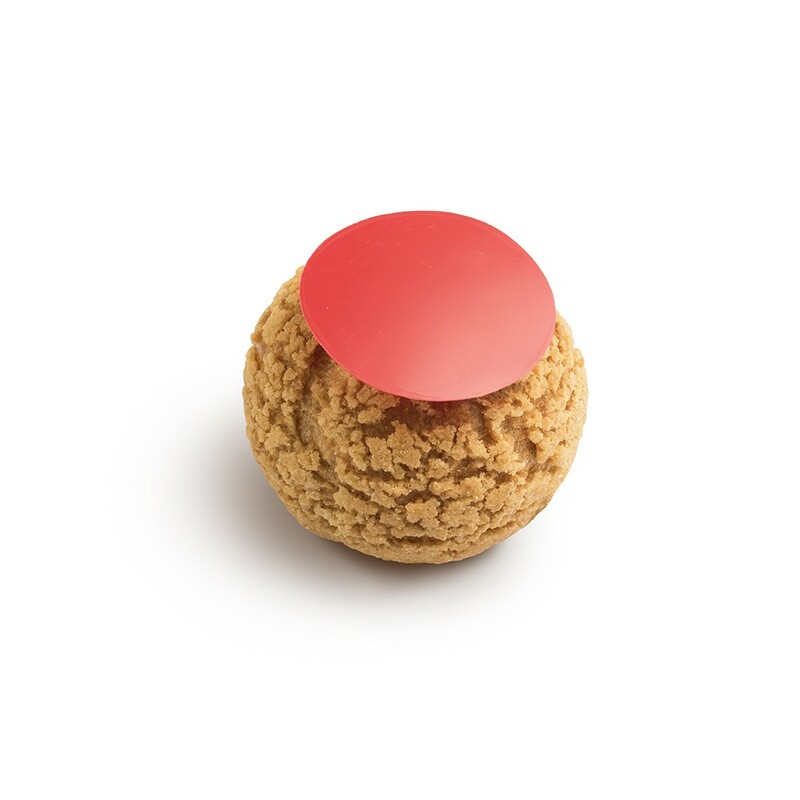 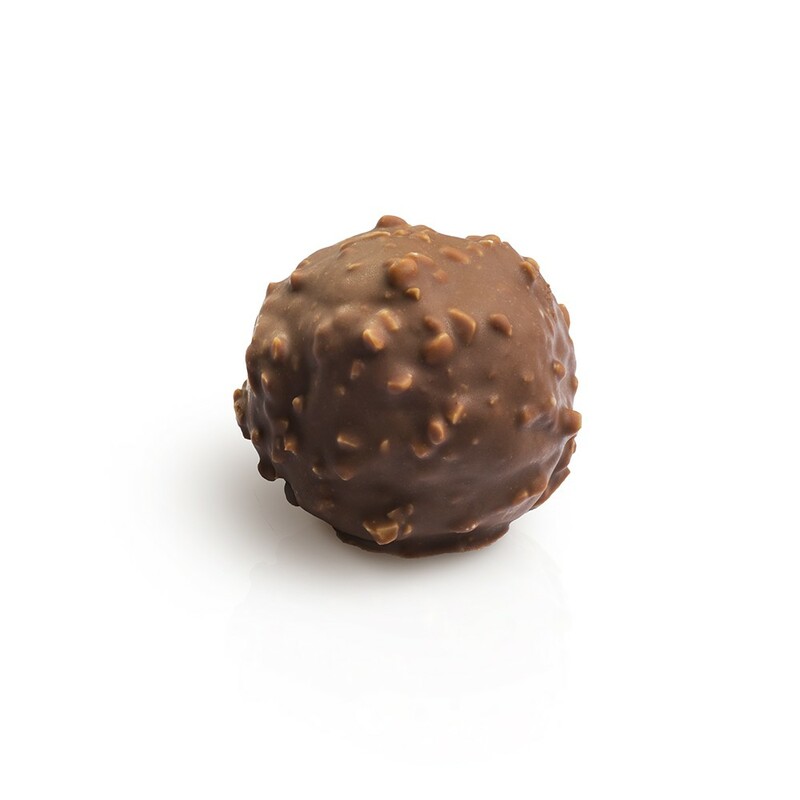 Using recipes from the French region of Brittany, our salted butter and caramel filling brings back the basics with a pure emphasis on taste. Caramel childhood memories will come rushing back. 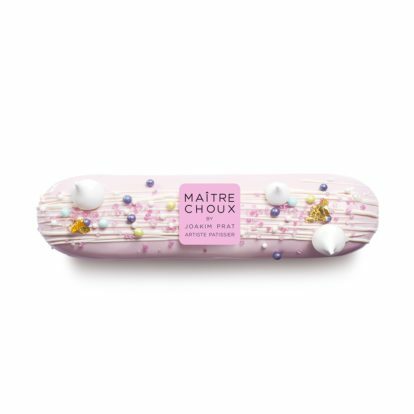 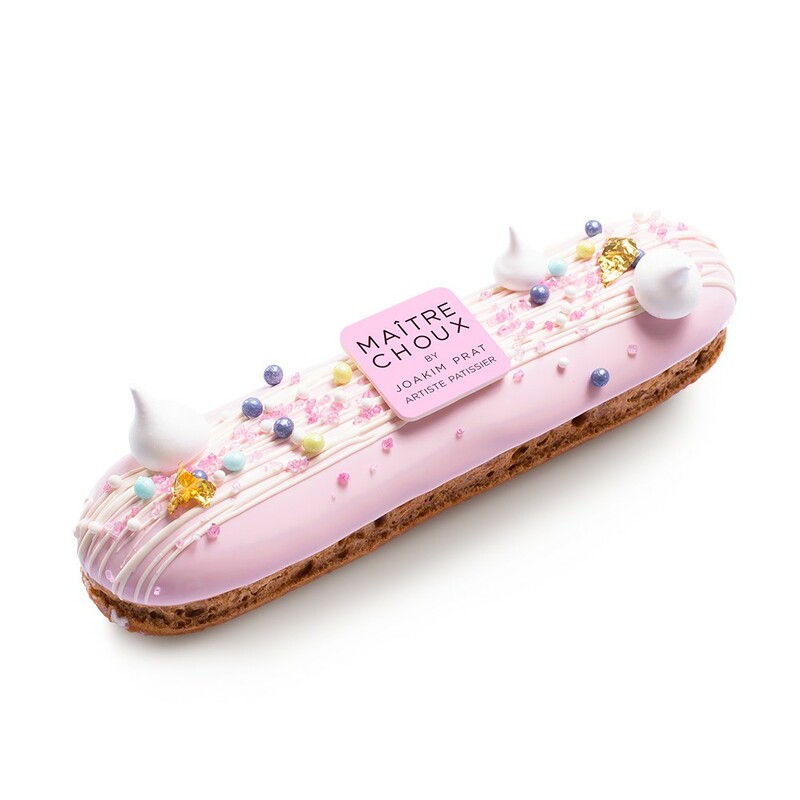 For our most delicate dessert, we picked sun-soaked raspberries from Southern Europe to create a beautifully pink éclair that is light and fruity, with a slight acid undertone. 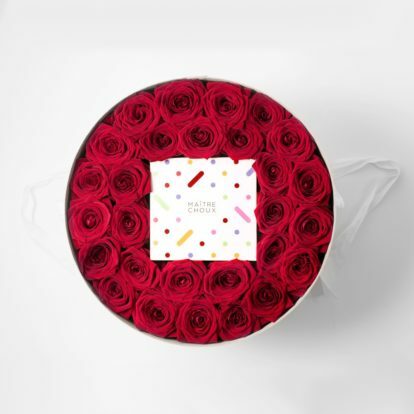 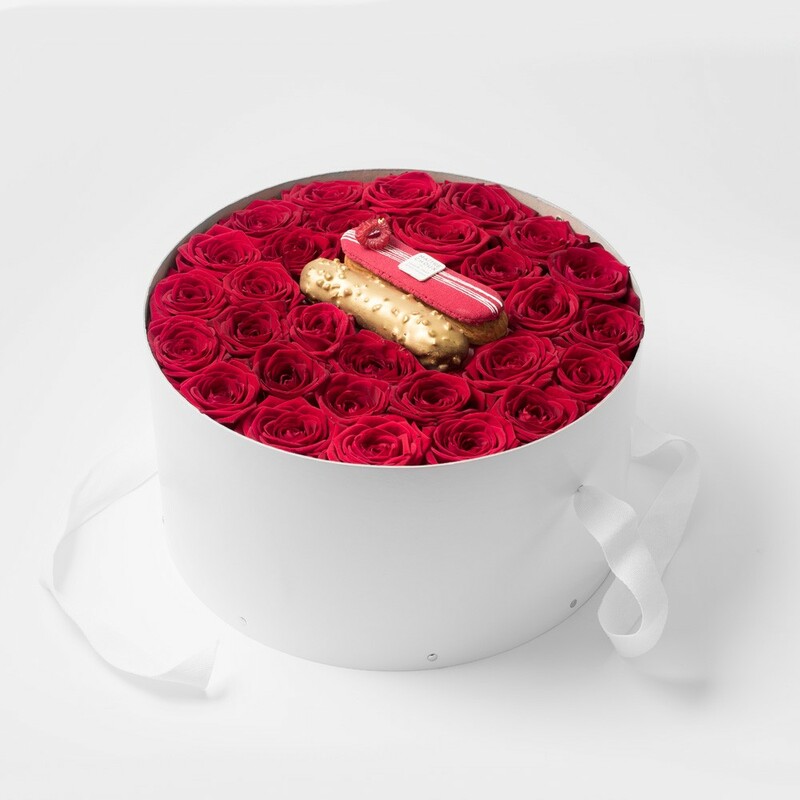 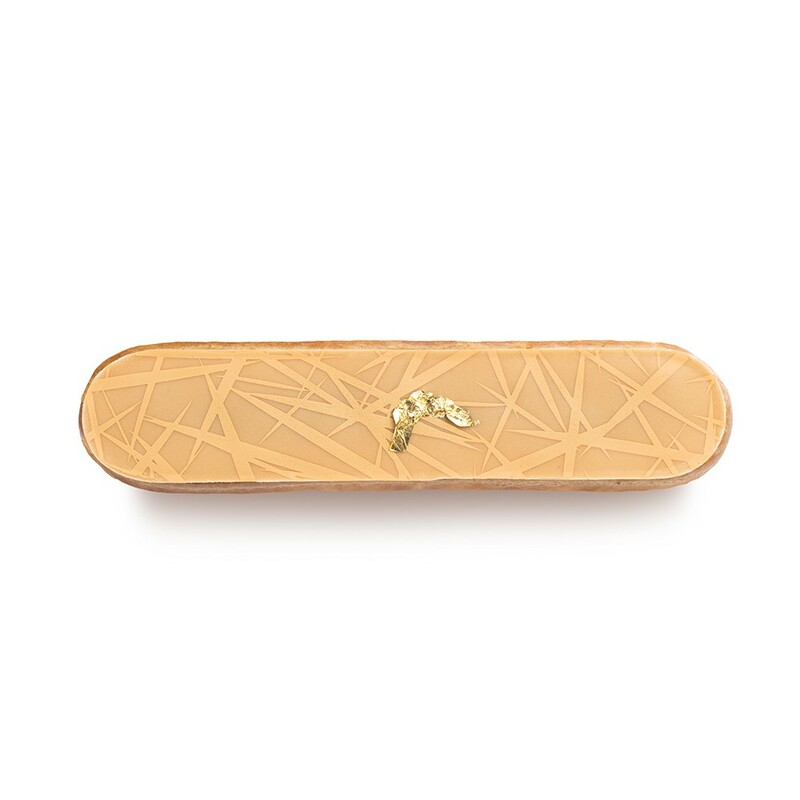 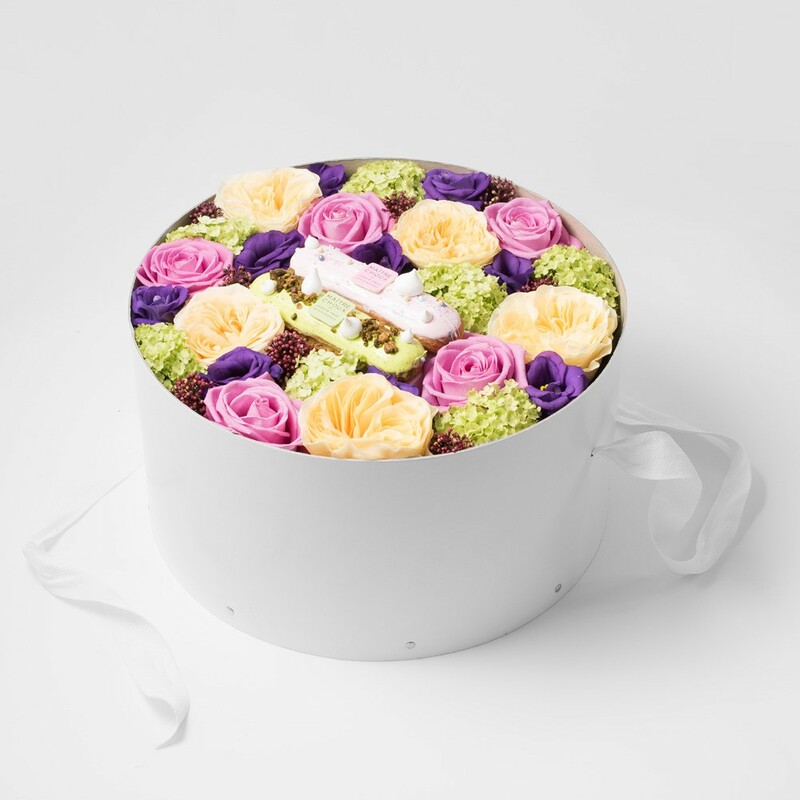 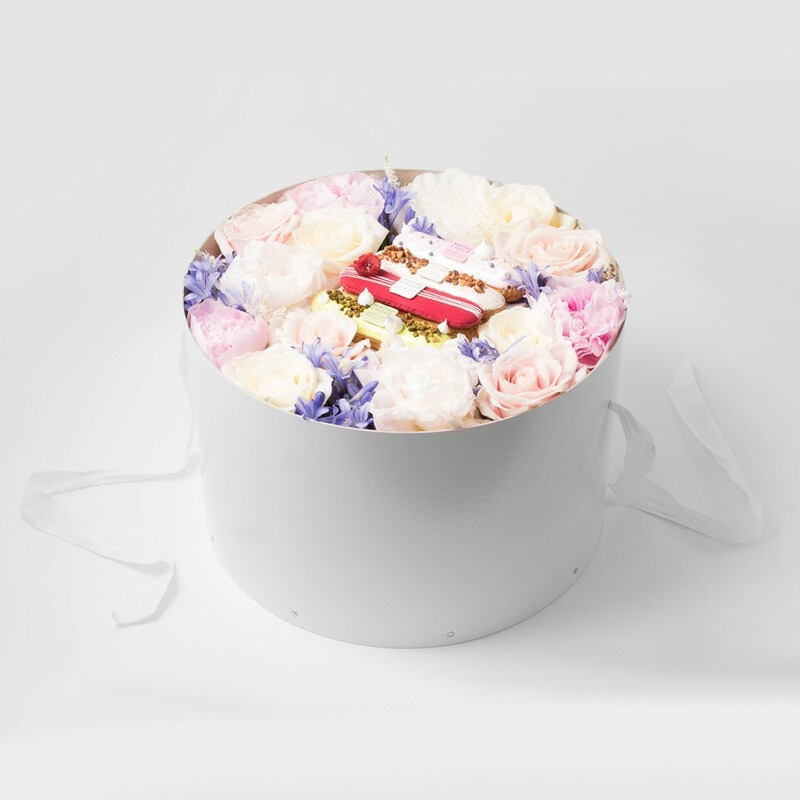 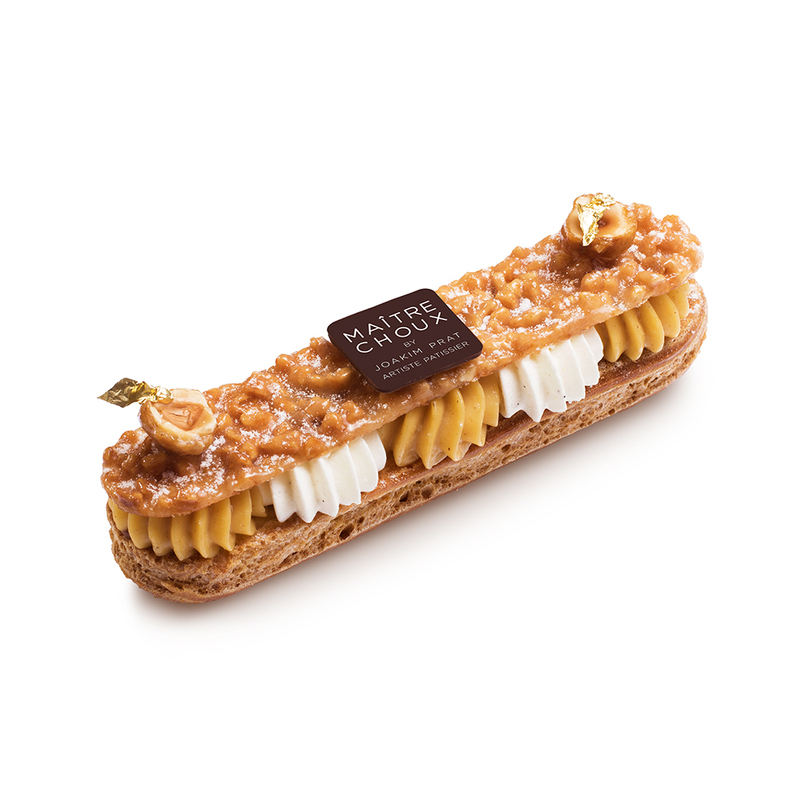 A touch of rose water is added to the glazing to bring an exotic touch to our signature creation. 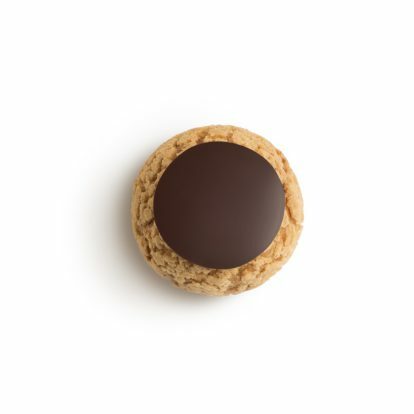 A carefully selected blend of single estates Tahitian (liquorice undertones) and Madagascar (pepper undertones) beans for an intense and powerful vanilla-flavoured filling. 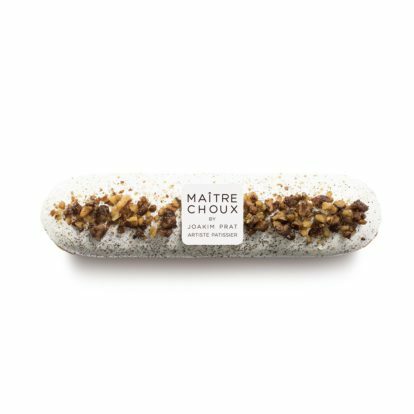 To add texture, we sprinkle candied roasted pecans on the glazing for a distinctive signature nutty flavour. 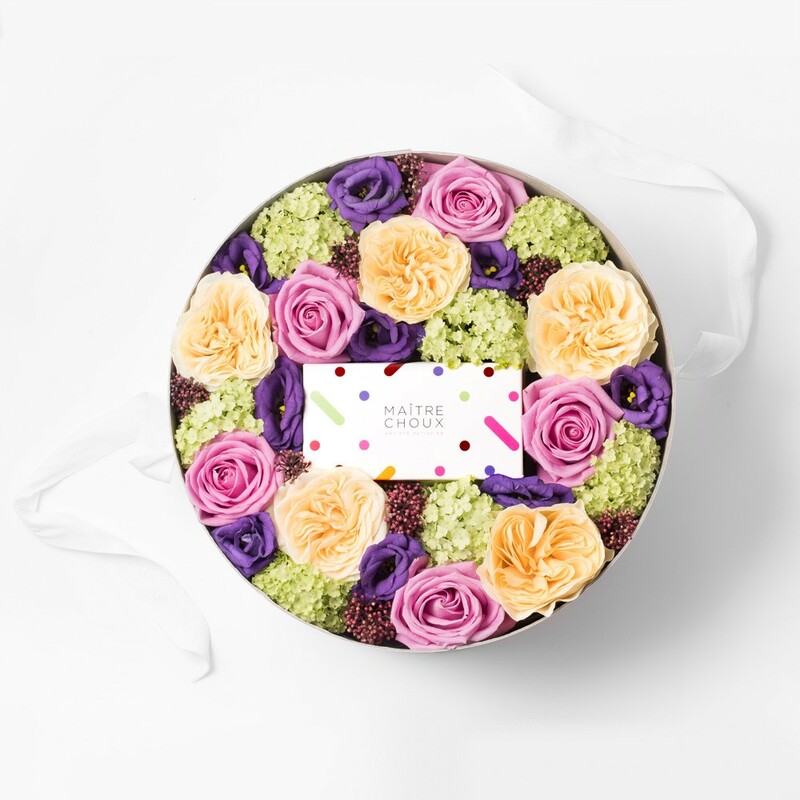 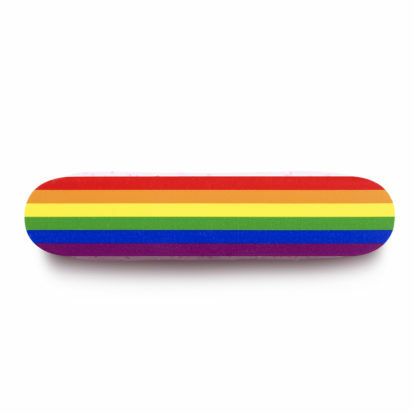 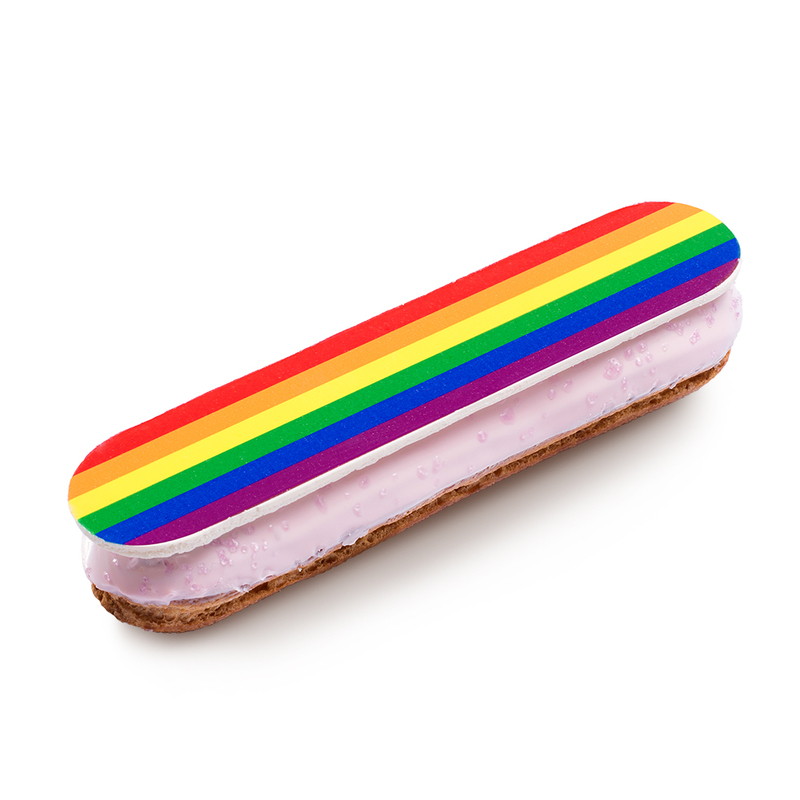 To celebrate our Soho neighbourhood, we created a Blackberry Cheesecake rainbow éclair that is proud to stand out! 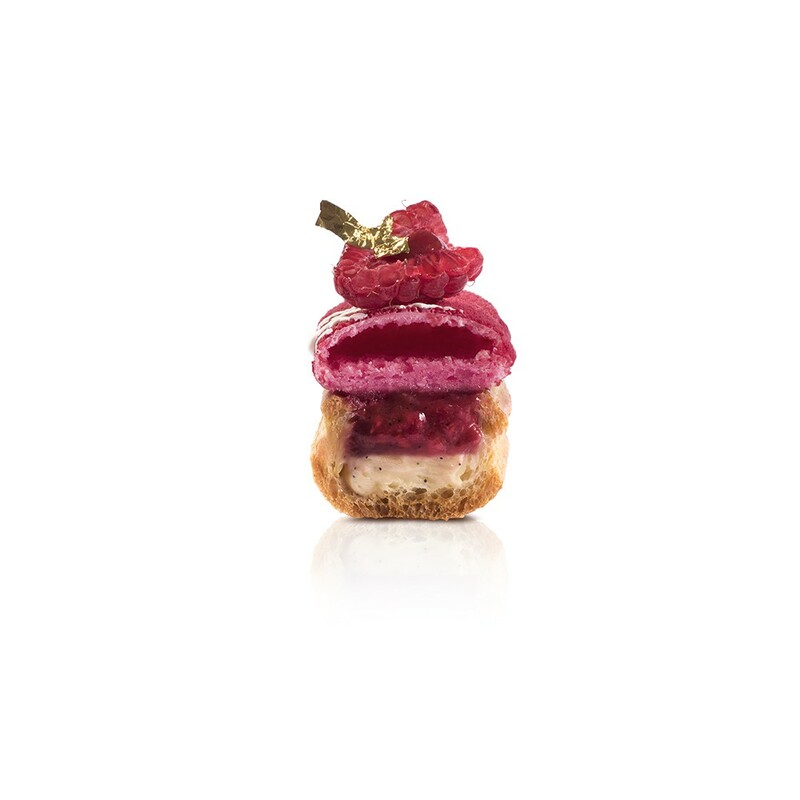 A delicious creamy cheesecake base is filled with an infused blackberry purée. 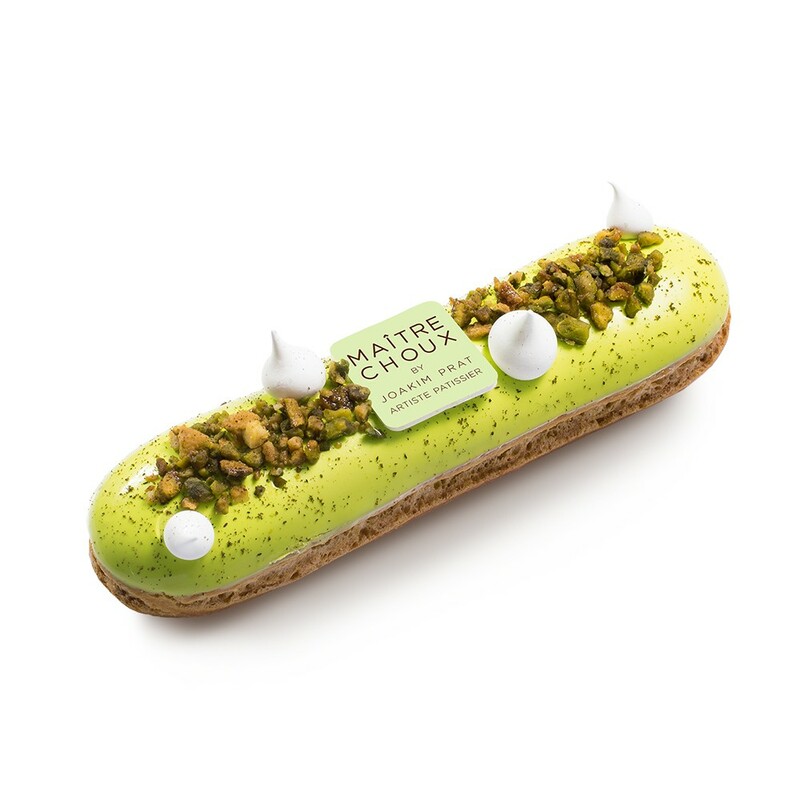 It’s delicious and is a must-try for your trip around Soho! 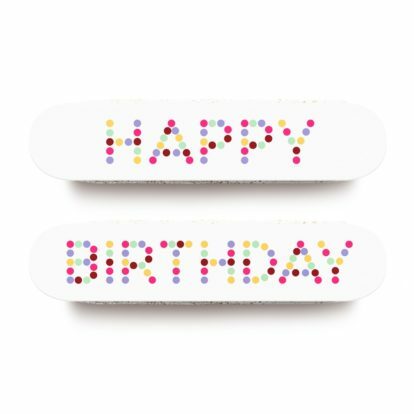 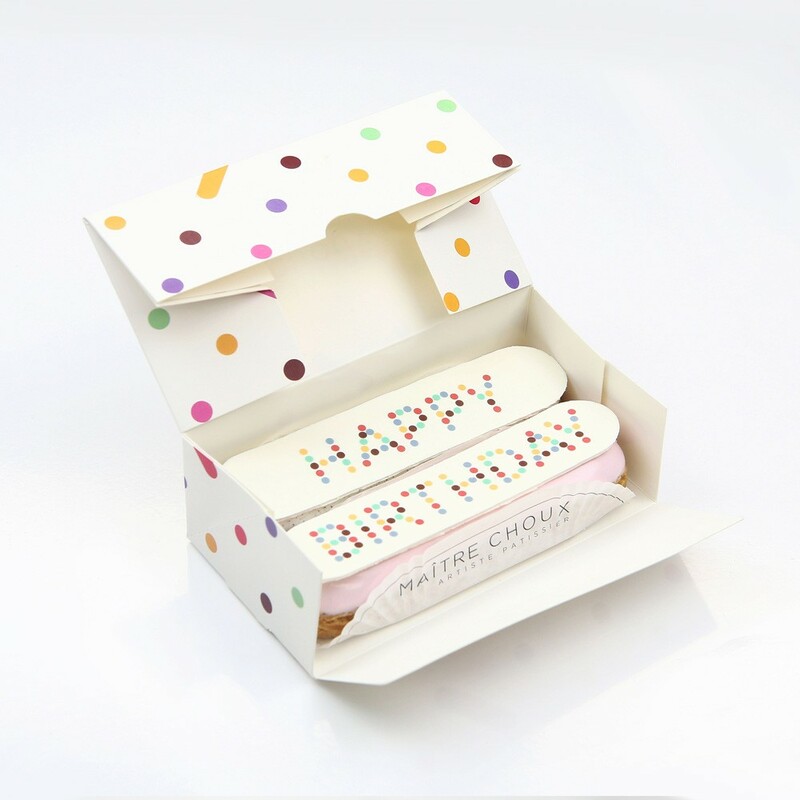 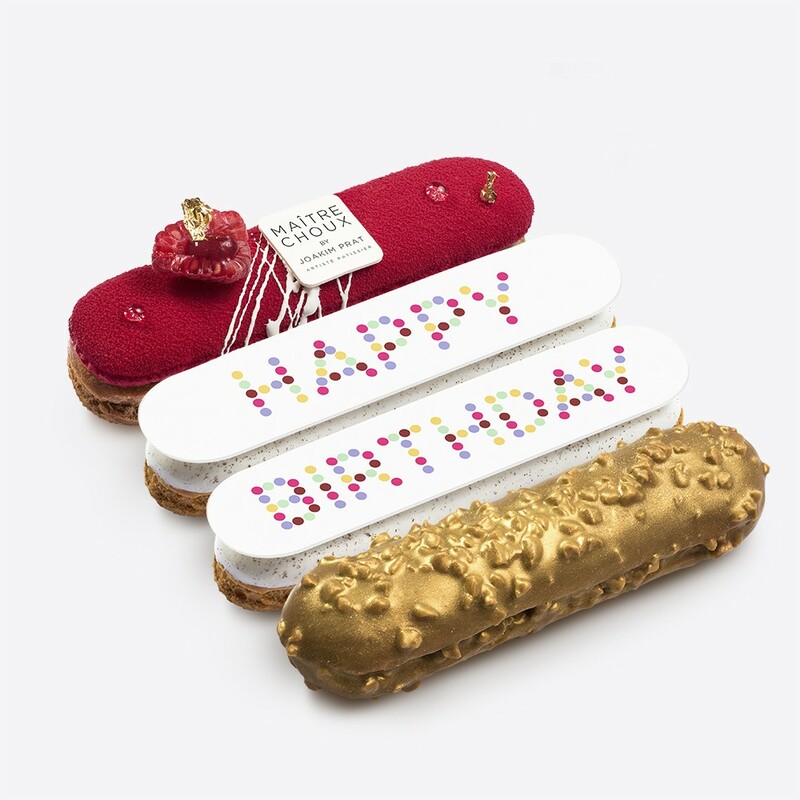 Celebrate your loved ones special day with our Happy Birthday éclairs! 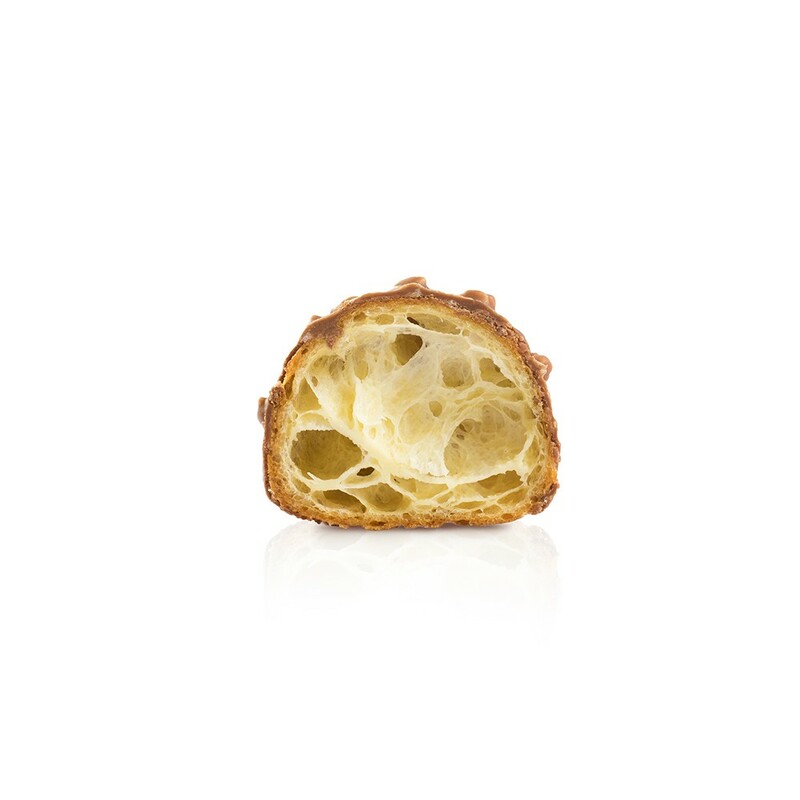 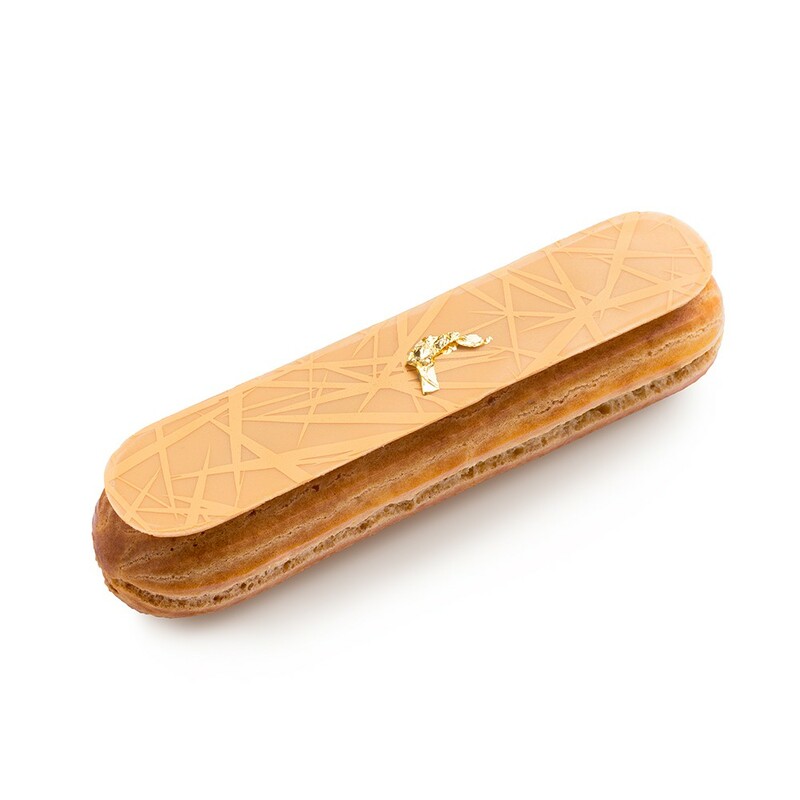 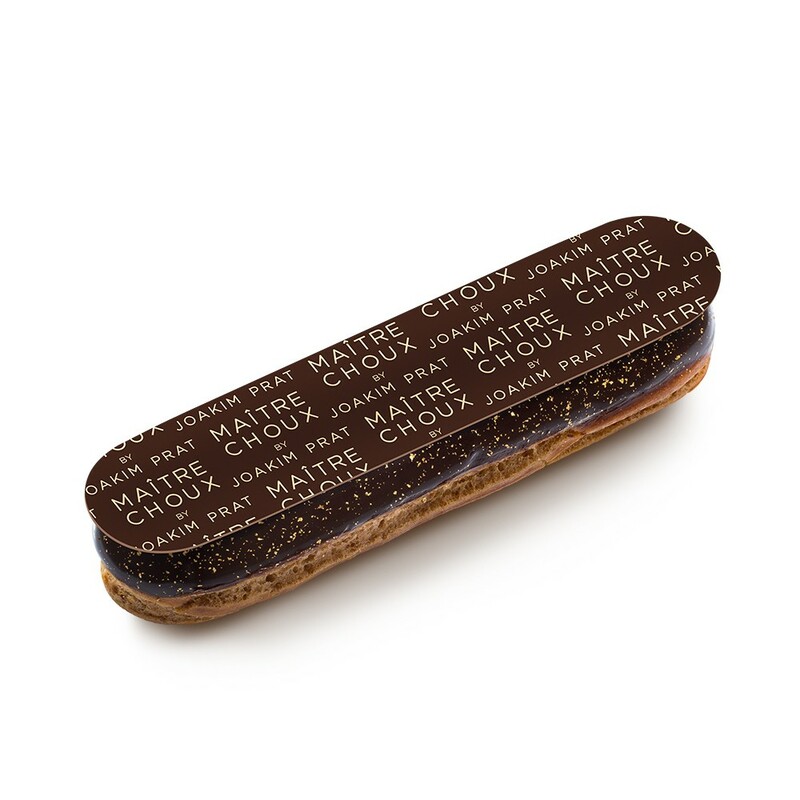 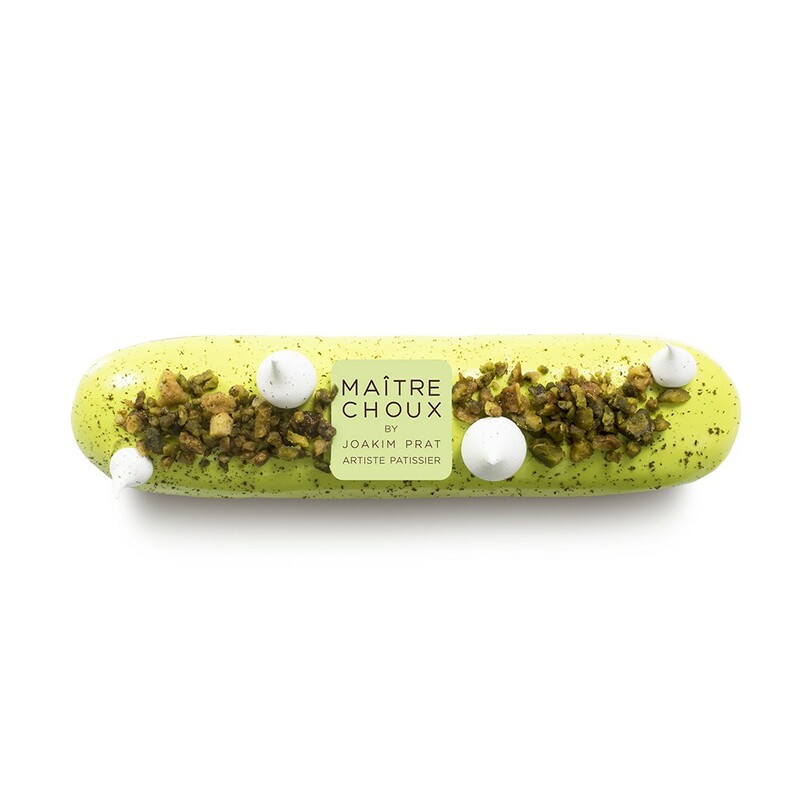 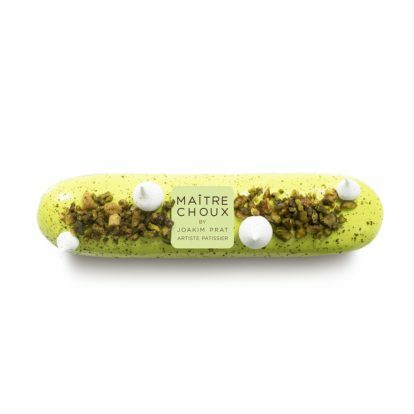 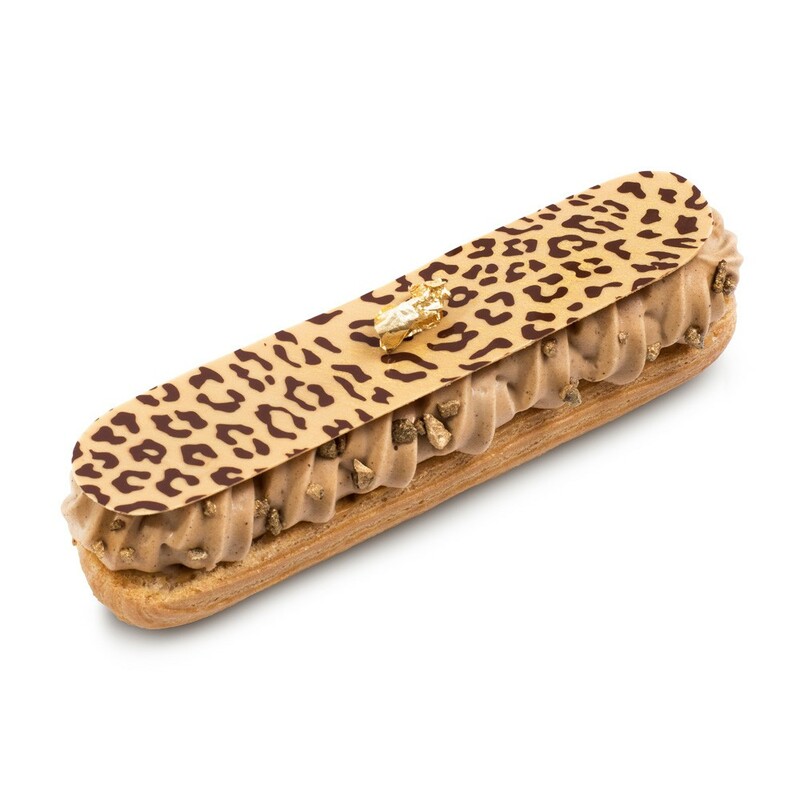 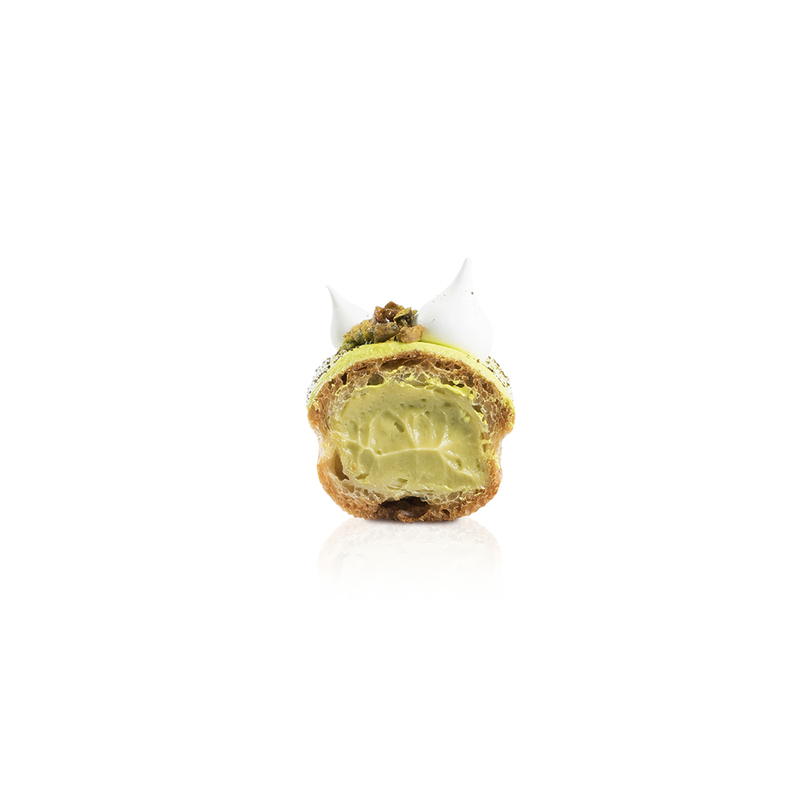 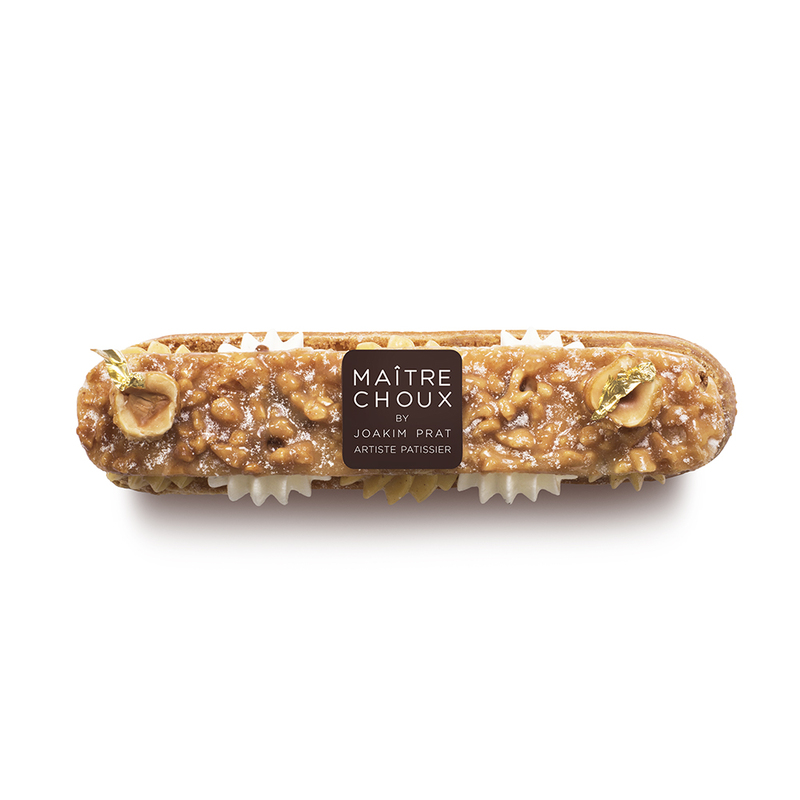 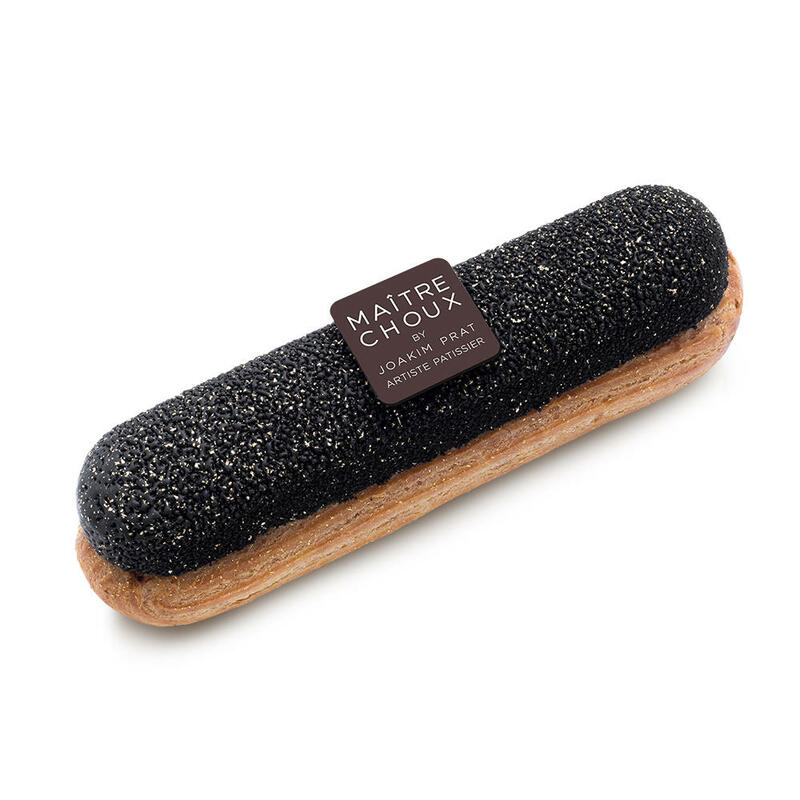 They come in various flavours, and will look great on their own, or as part of our boxes of 4 or 8 éclairs. 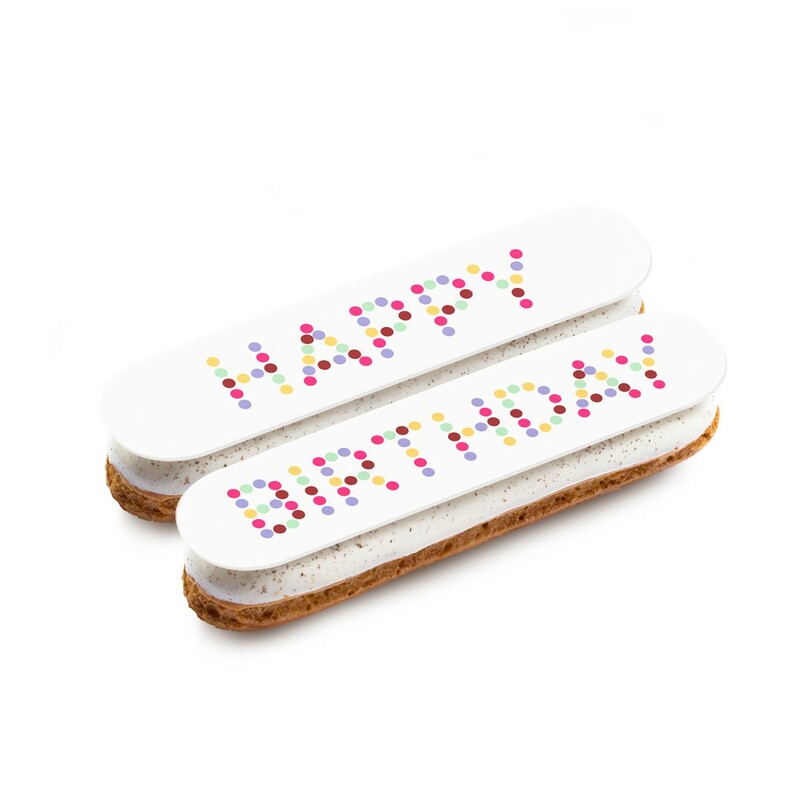 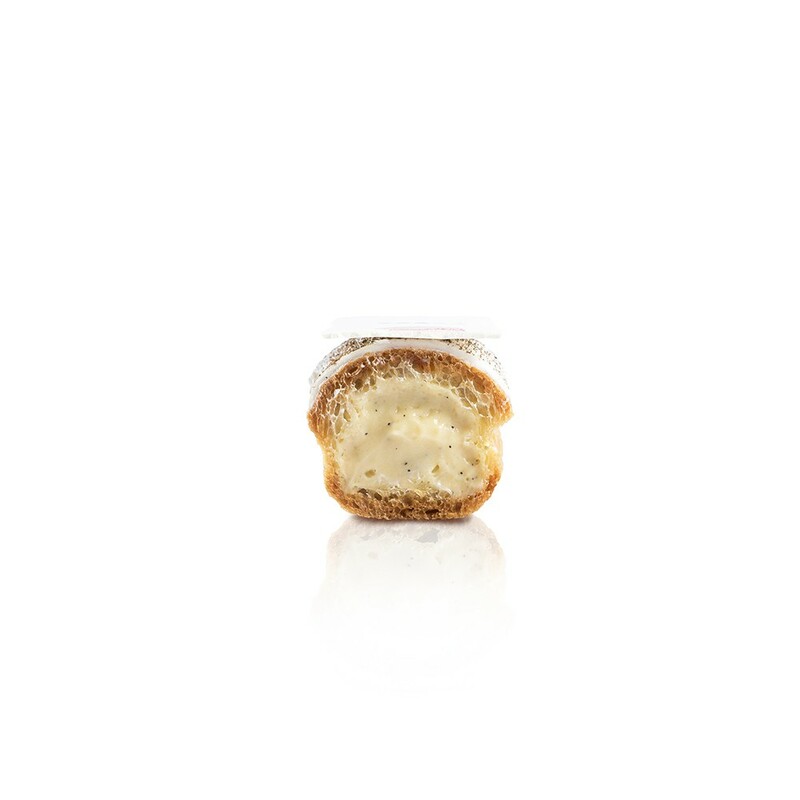 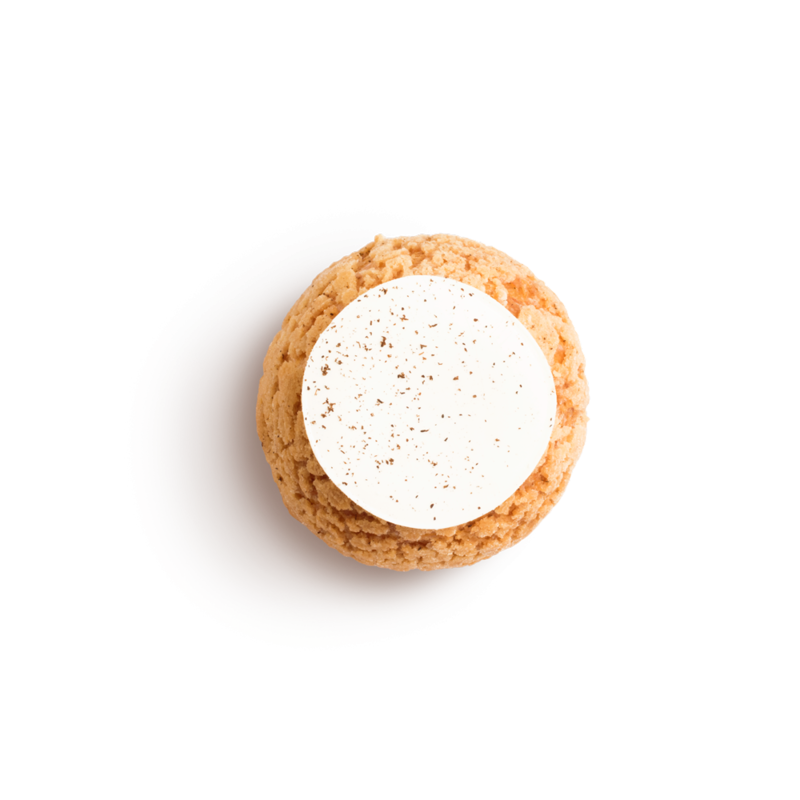 Fun fact: As you’ll have two éclairs to give, you will probably get to eat one too! They come in 5 different flavours: Chocolate, Pistachio, Caramel, Raspberry, Vanilla. 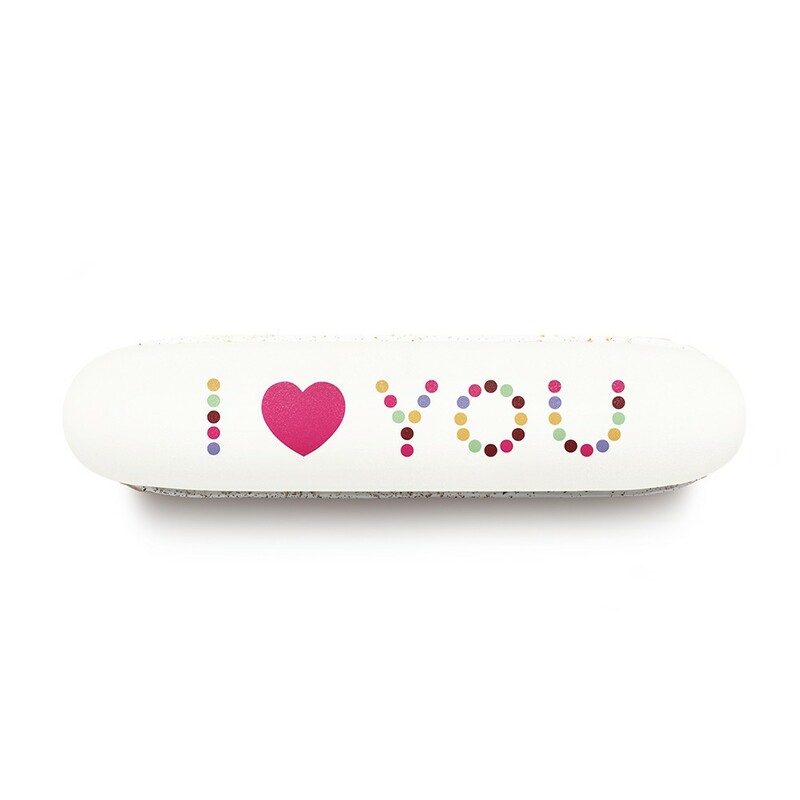 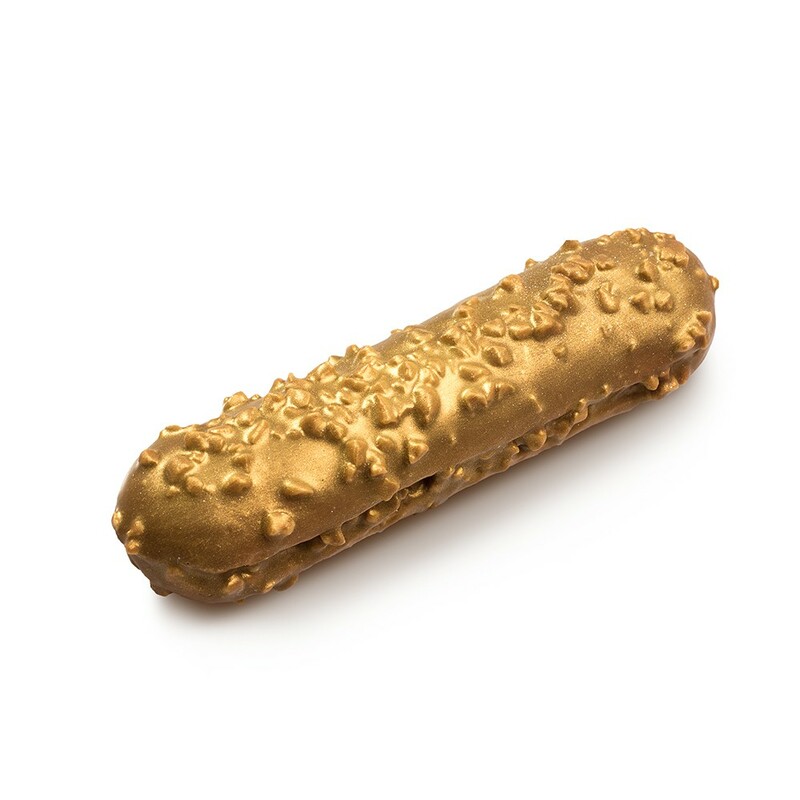 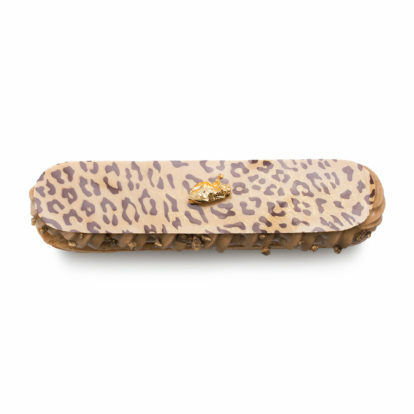 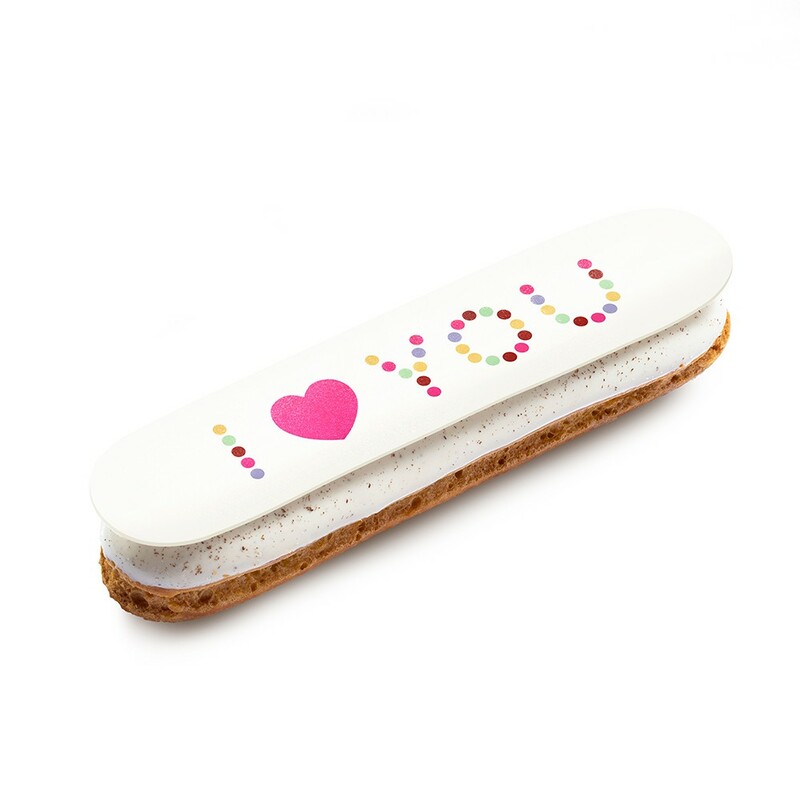 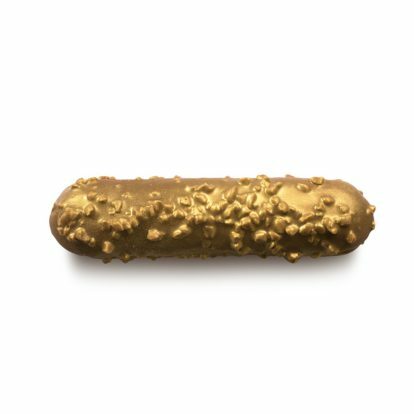 Tell them you love them with this eclair-shaped love letter! 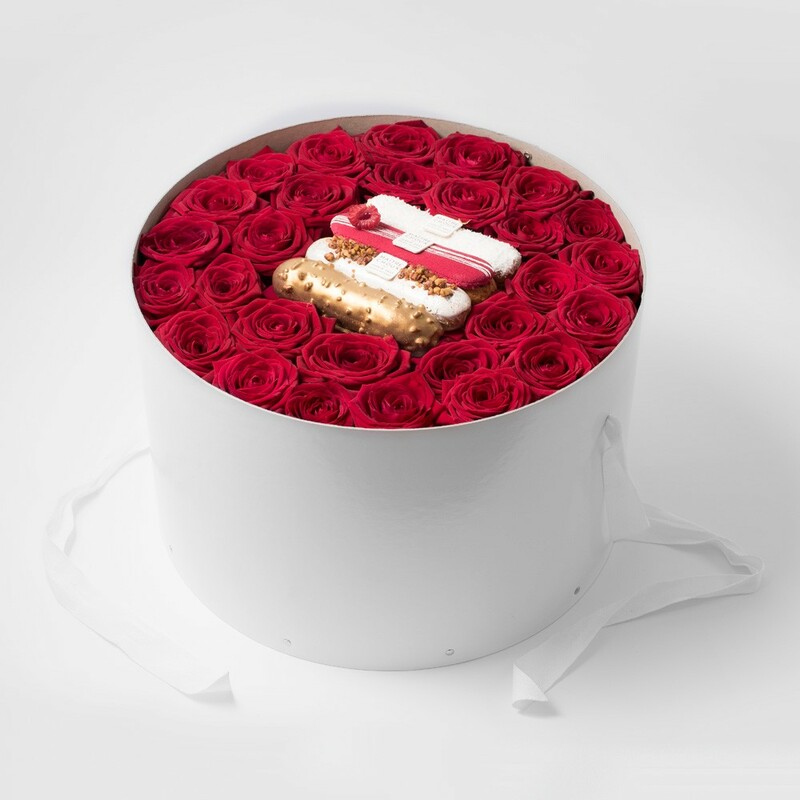 Valentine’s Day will never be the same again. Please pick your flavour below! 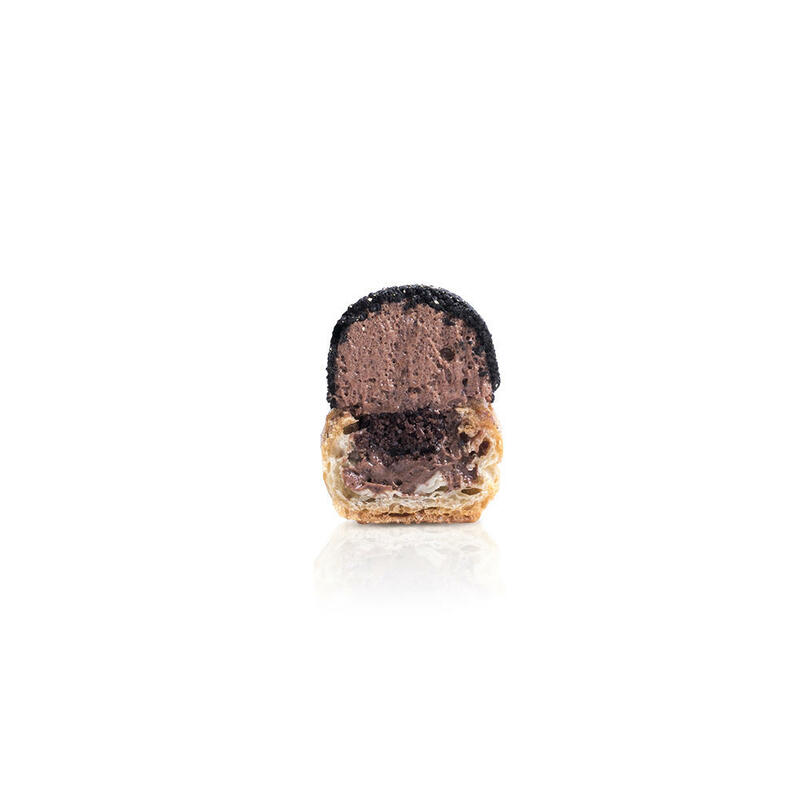 Allergens: Please refer to each individual product page for allergen information. 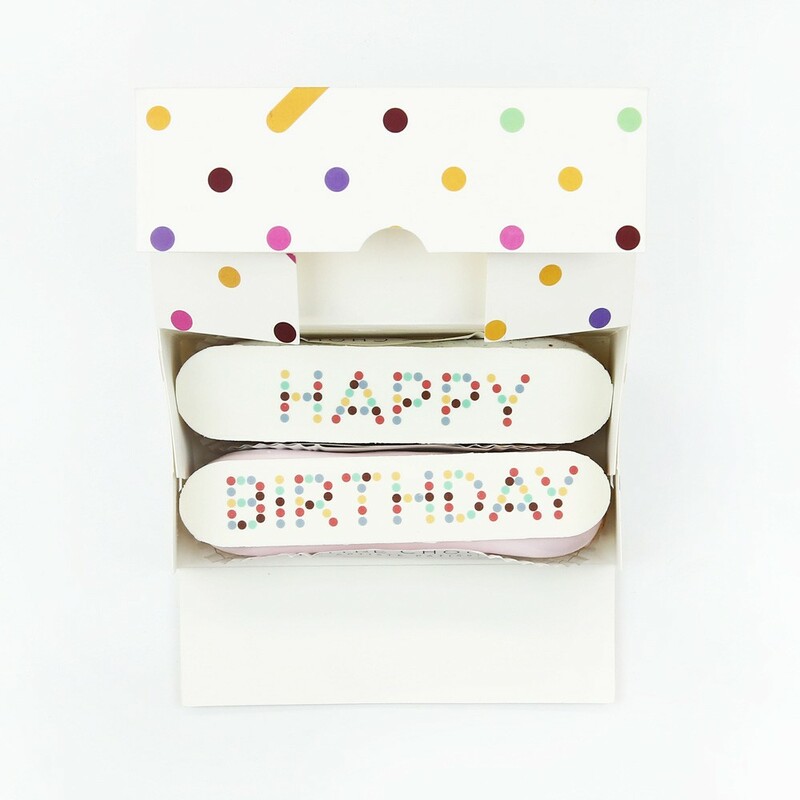 Please click View Product below to pick your flavour! 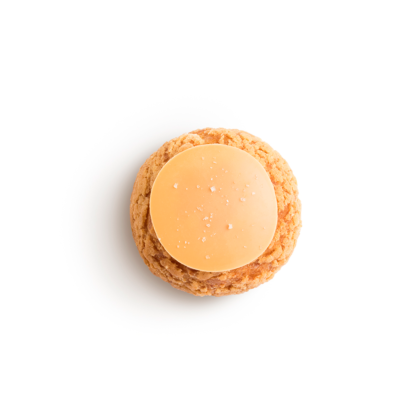 It strikes a perfect balance of creamy, light and sweet. 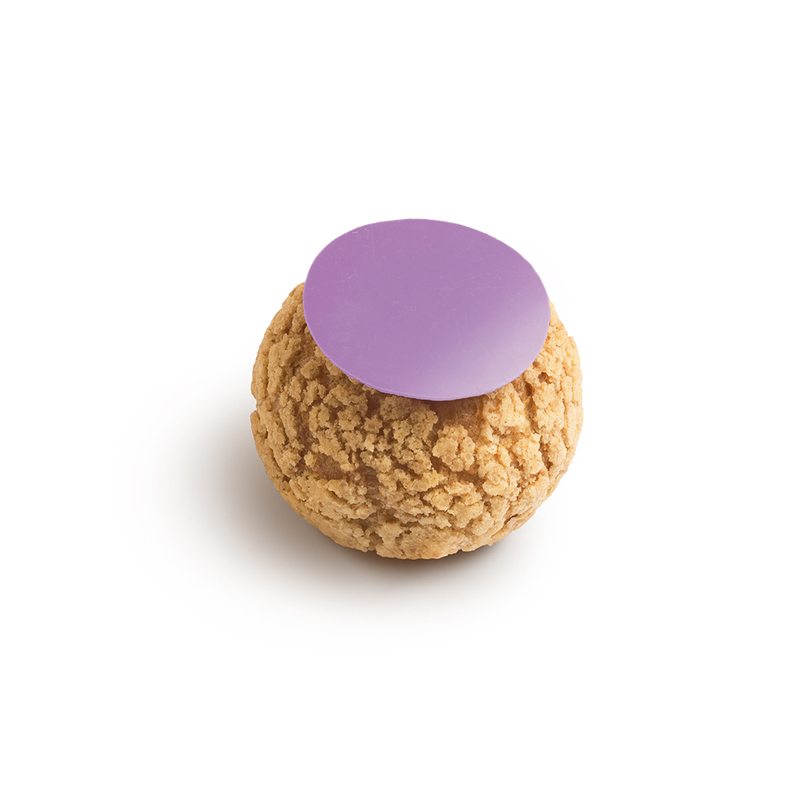 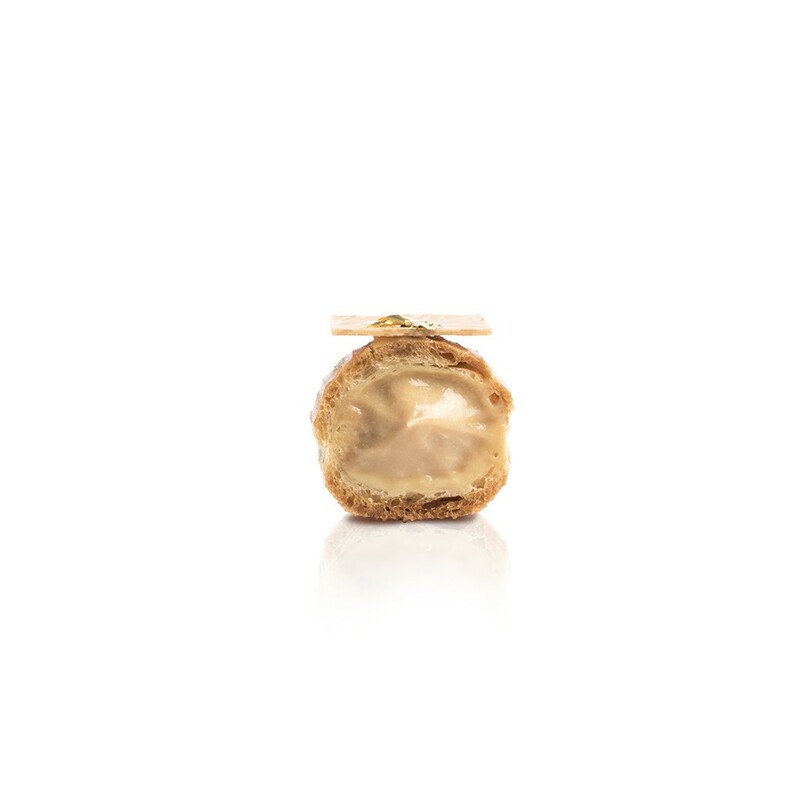 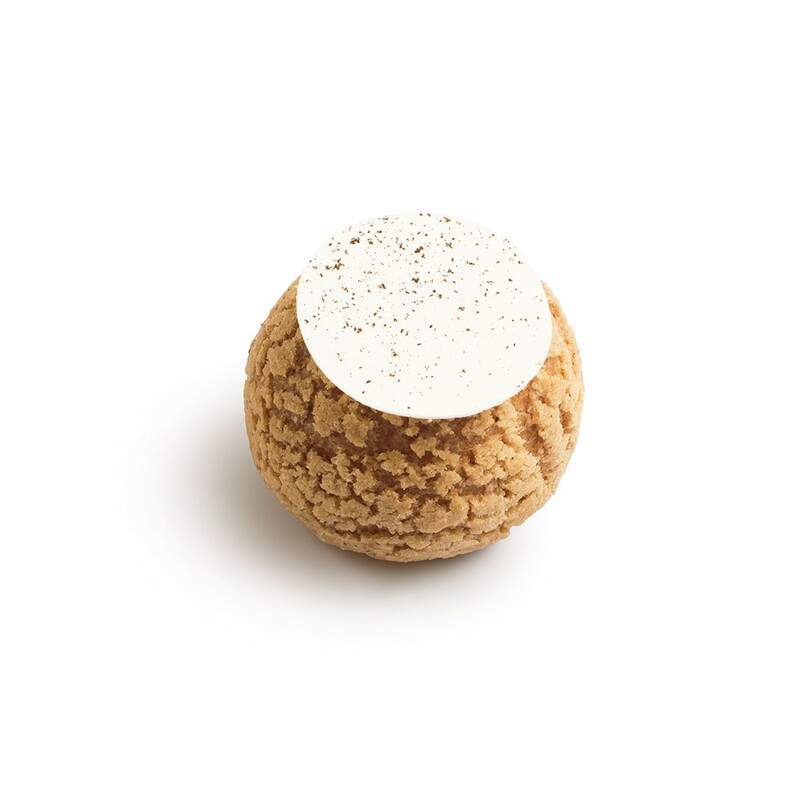 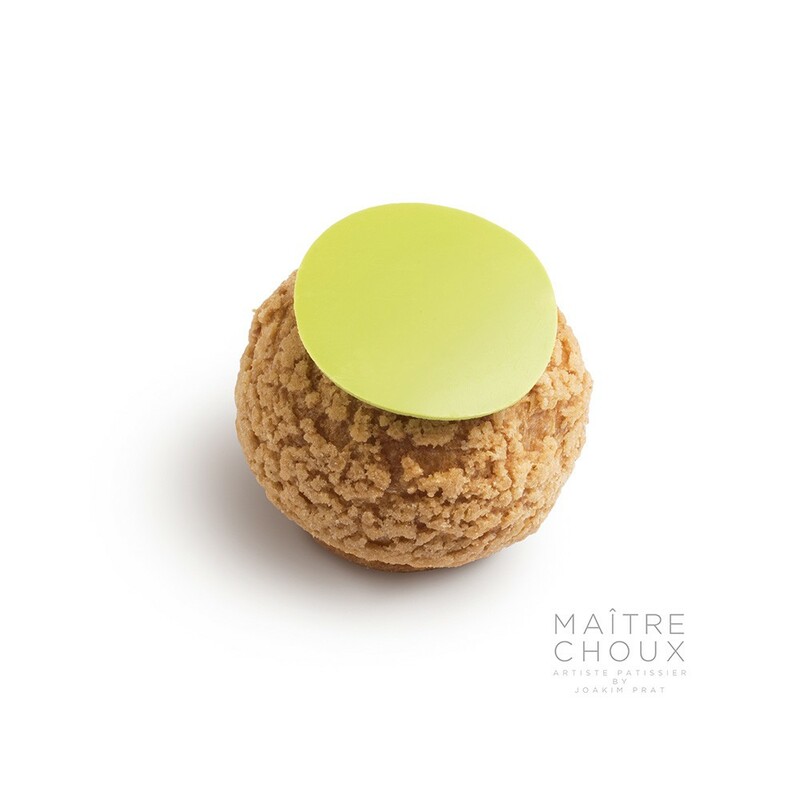 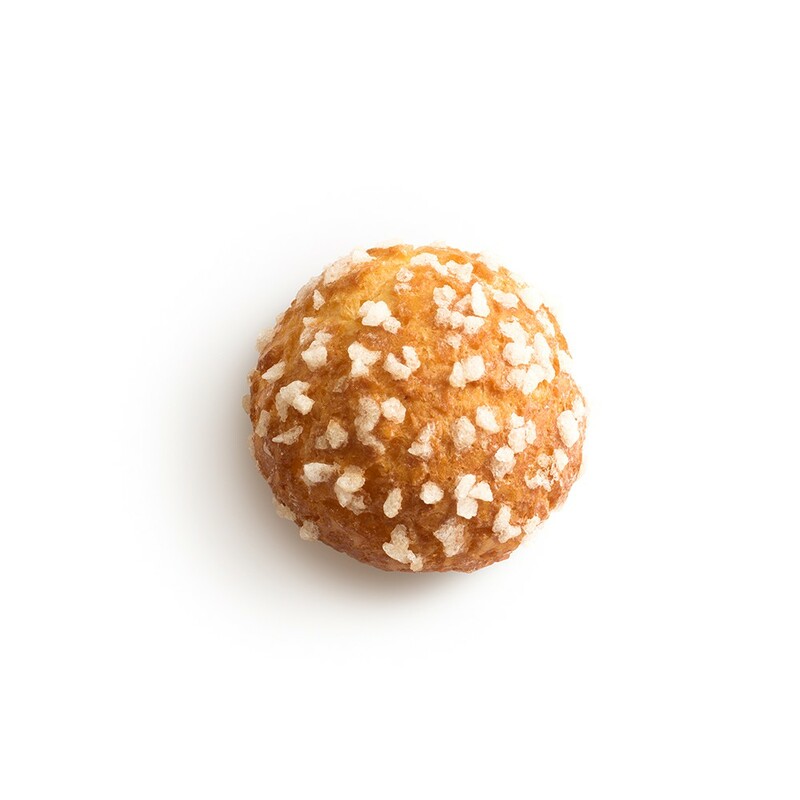 Using recipes from the French region of Brittany, our salted butter and caramel filling brings back the basics with a pure emphasis on taste. 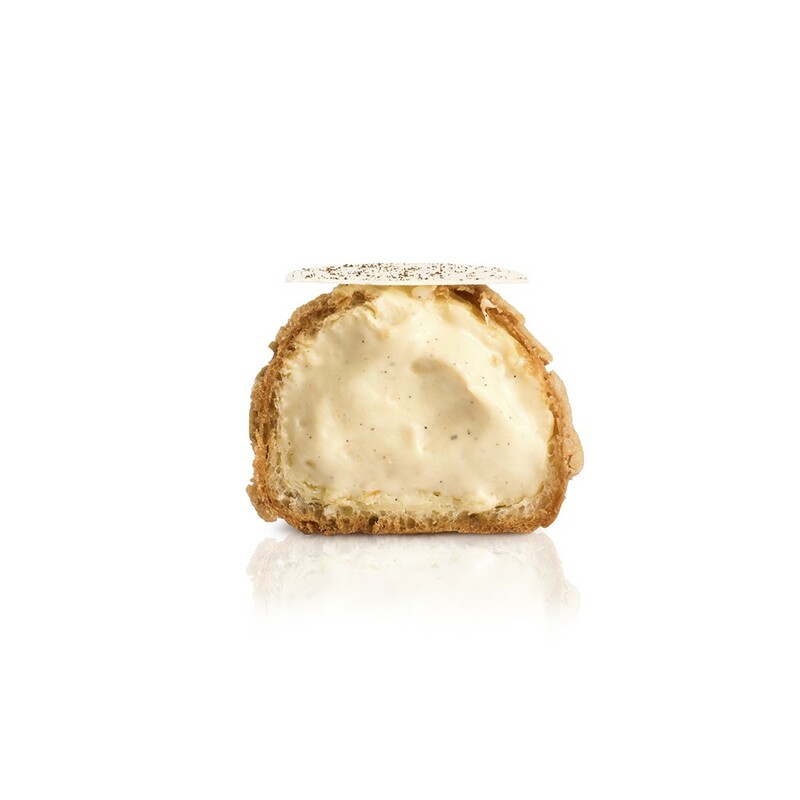 It strikes a perfect balance of creamy, light and sweet.